With over 500+ MILLION Views and over $100,000.00 in revenue Brother Ben X is now giving you the social media steps to DO FOR SELF. 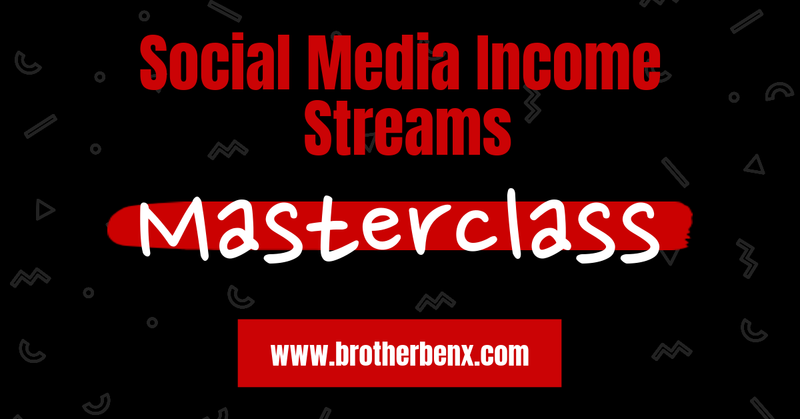 This is a masterclass dealing with social media income streams. So many of us don't know the money ways we can already be getting paid on social media, even without having large amounts of followers.